Each shirt is an opportunity to support Northern Virginia Project GiveBack's annual Thanksgiving food distribution. Please SHARE and remember that there are other style options listed in the available styles area. Project GiveBack is a 501(c) (3) national nonprofit community service organization based in Washington, DC with a chapter in Northern Virginia and a student chapter at Howard University. Project GiveBack's mission is to provide a vehicle for corporate firms and other organization to give back to the communities where they work and live. Every Thanksgiving, Project GiveBack provides food baskets for underprivileged families in need of assistance during the holiday season. No one will be charged or receive a shirt until at least 11 shirts have been sold. 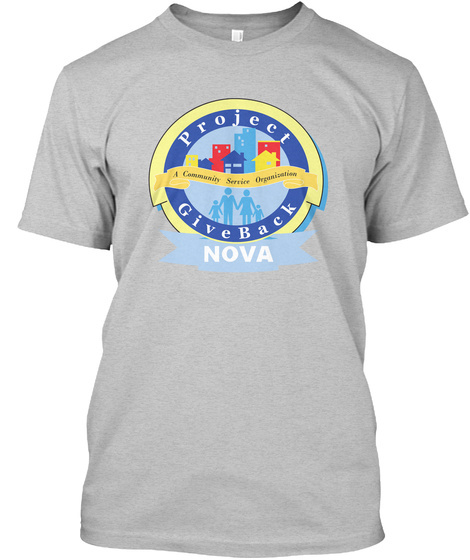 100% of profit will be donated to NOVA Project GiveBack. Go to http://www.novapgb.org to read more about our mission.